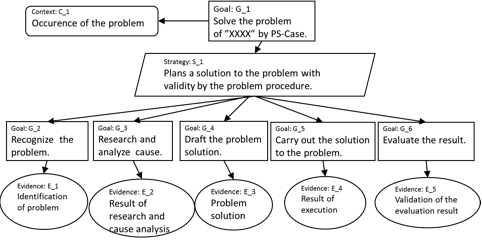 PS-Case is a problem solving method based on a set of evidence. PS-Case has 3 points of visualization, “1. Visualization of claim and evidence”, “2. Visualization of logic”, “3. Visualization of quality assurance story”. 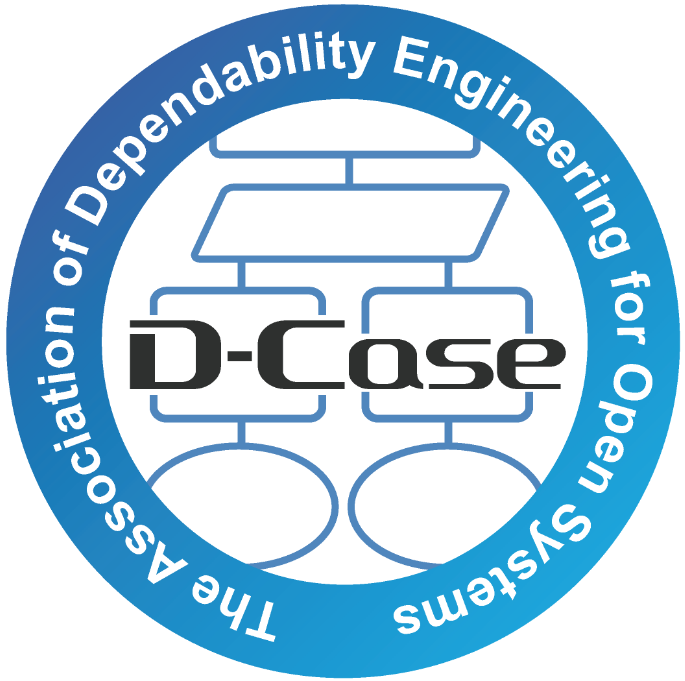 PS-Case has the advantages of argumentation tool and quality assurance tool. PS-Case plans a solution to the problem with validity by the problem procedure that visualized rationale. 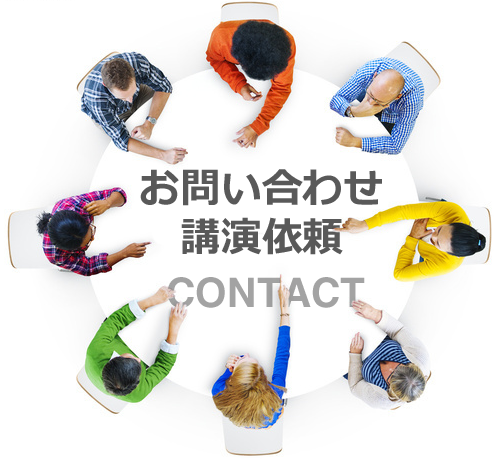 The solution to the problem procedure of PS-Case prescribes five phases of processes that are“1.Identify the problem, 2.Research and analyze causes, 3.Propose the problem solution, 4.Carry out the solution to the problem, 5. Evaluate the result”. 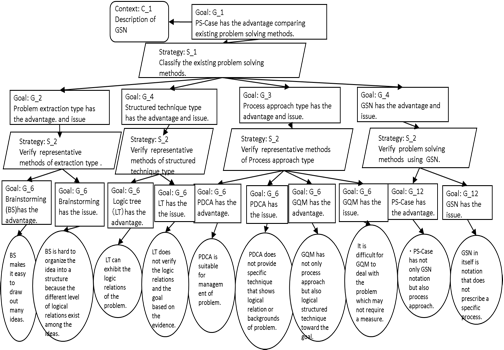 Each process becomes the subgoals in the GSN figure, and it is necessary to show the content that carried out for a solution to the problem at the stage as evidence.